The Lincoln Park Basketball Courts have never looked better or more creative. 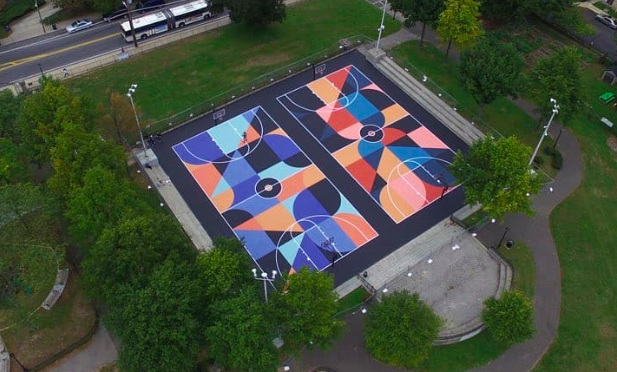 This exciting new design, from artist Scott Albrecht, is the result of a collaboration between the City’s Parks & Rec Department, the New Rochelle Basketball Association, and Project Backboard, along with a generous grant from the National Basketball Players Association Foundation. Thank you to all who contributed. 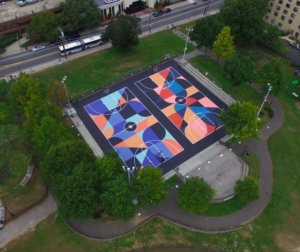 It’s a great addition to one of New Rochelle’s most heavily-used parks, and one piece of our larger effort to enhance the Lincoln Avenue corridor.